The good weather has given London that summery feeling, so what better way to enjoy the heat than eating tapas outside? Here’s my review of El Ganso in Broadway Market, Dishoom in Shoreditch and of Nuno Mendes’ newest restaurants, Taberna Do Mercado. It’s hard to choose a spot to dine in while in Broadway Market, but if you’re there during the slightly less crowded weekdays don’t miss out on El Ganso’s truly Spanish delicious tapas. I went for some glorious, cheesy croquetas de setas with mushrooms and blue cheese, followed by a tortas de patatas – a sort of omelette with potatoes and onions – and the most delicious of them all: the huevos rotos (broken eggs) over patatas bravas and chorizo. Feast on Indian tapas while sitting in Dishoom’s beautiful inside-garden. I went for the spicy but delightful okra fries, a paneer roll and a lovely chilli cheese toast. If you can’t handle spices, go for a mango and fennel lassi to quench your thirst. A Shoreditch insitution, Dishoom is the go-to food for classy Indian food and unusual cocktails. 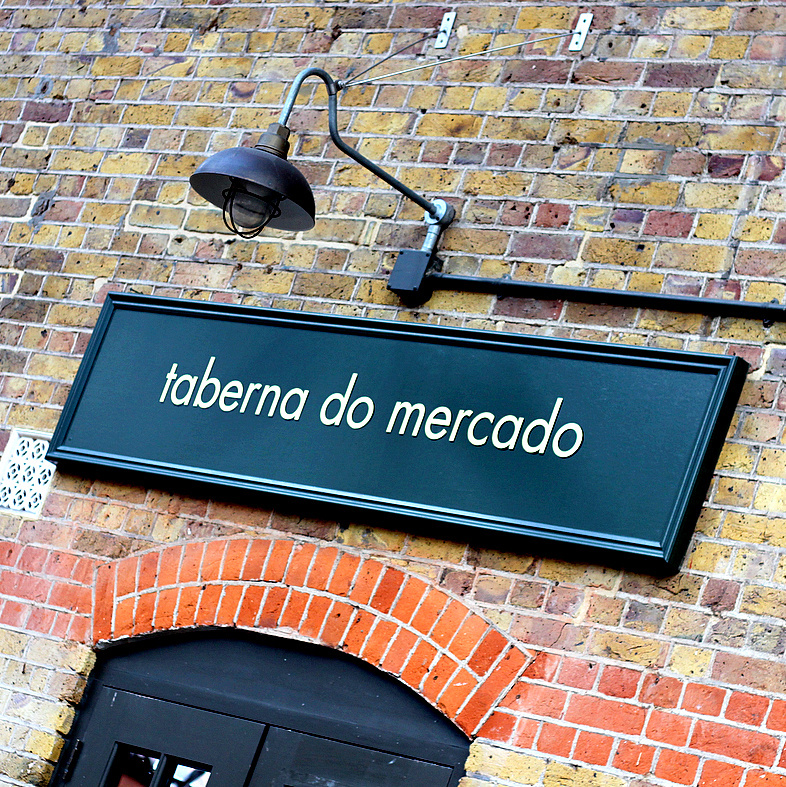 If it’s celebrity chefs that you’re after, look no further than Spitalfields and queue for Nuno Mendes‘s latest no-reservation restaurant, Taberna Do Mercado. It serves Portuguese tapas with a twist, and it does so in an intimate venue with tables both inside and outside, offering the possibility to observe the chefs at work in the kitchen when you head to the loo. Although Taberna Do Mercado is probably not the place to go to if you’re starving and on a budget, it offers some really unique treats. Try the fried green beans and then move on to the fresh chicory, pear and almonds salad. Finish with the deliciously fresh pork and fennel sandwich. Tapas are the feel-good food of the summer. Now we just need a proper summer to enjoy them better. Il bel tempo sta annunciando l’arrivo dell’estate, e quale modo migliore di darle il benvenuto se non col mangiare tapas all’aperto? Eccovi una breve recensione di El Ganso a Broadway Market, di Dishoom a Shoreditch e del nuovo ristorante del celebrity chef Nuno Mendes, Taberna Do Mercado a Spitalfields. E’ difficile scegliere dove mangiare a Broadway Market, ma se siete lì durante i meno affollati giorni feriali provate le tapas spagnole El Ganso. Io ho scelto le filanti croquetas de setas coi funghi, per passare poi ad una tortas de patatas – una specie di frittata con patate e cipolle – per poi finire coi fantastici huevos rotos (uova rotte) con patatas bravas e chorizo. Un’istituzione qui a Shoreditch, Dishoom è il posto migliore per unire un’ambiente di classe a cocktail particolari e cibo indiano con un English twist. Ho scelto le patatine fritte di okra, un toast al formaggio fuso con chilli e una sorta di piadina al paneer, il formaggio indiano. Se le spezie sono troppo per voi, accompagnate il tutto con un mango lassi, un tipico drink analcolico indiano fatto di yoghurt e mango. Nuno Mendes, lo chef del ristorante delle star Chiltern Firehouse, ha aperto un nuovo ristorante a Spitalfields. Taberna Do Mercado serve serve tapas portoghesi con una marcia in più in un ristorante con un’atmosfera intima, dando agli avventori la possibilità di ammirare cosa succede in cucina, una tappa obbligatoria sulla via del bagno. Anche se Taberna Do Mercado non è probabilmente il posto migliore dove andare se siete affamati e a corto di finanze, offre di certo delle pietanze uniche. Provate i fagiolini fritti e l’insalata di cicoria, pere e mandorle. Finite col freschissimo panino di carne di maiale e finocchio. Le tapas sono il cibo estivo per eccellenza… Ora manca solo l’estate!